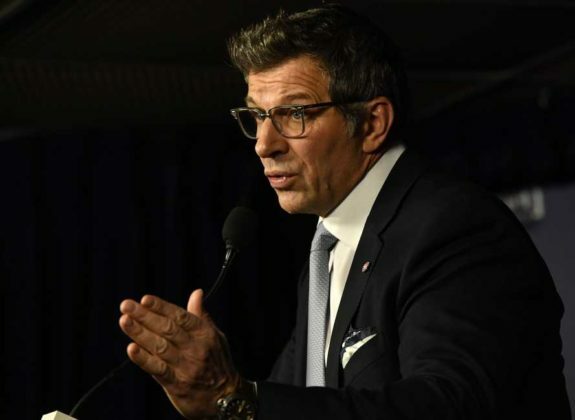 Montreal Canadiens: Another Offseason Disaster for Bergevin? Montreal Canadiens fans don’t have to look far for an example of what a bad offseason looks like. General manager Marc Bergevin is coming off a horrible one in 2016 in which he traded away P.K. Subban just for starters. His past one, in 2017, was arguably even worse, as he continued to dismantle what was left of his defense. Unfortunately, if you think Bergevin has hit rock bottom and can only work his way up, he could have further to go. That’s because of both the lofty expectations on his shoulders ahead of, effectively, a make-or-break 2018 offseason and how circumstances are aligning in such a way to also make it a boom or bust one, too. Take for example the 2018 NHL Entry Draft. Everyone knows Rasmus Dahlin is the consensus No. 1 pick. Most Habs fans recognize Dahlin as the answer to all of the their problems, and they wouldn’t be far off (regardless of him having yet to play an NHL game, of course). As a generational talent and a mobile, left-handed shot on defense, Dahlin would theoretically serve as the perfect No. 2 defenseman to play beside Shea Weber, all the while helping to rectify their primary issue on offense. However, as the team with the fourth-worst record in the NHL, the Canadiens’ odds to win the top spot aren’t exactly great. That means there’s a good chance they’ll have to make do with a lesser talent, all due respect to all the other young players waiting to be drafted. What’s worse is few of the players available after Dahlin immediately address the Canadiens’ needs for a left-handed defenseman or a top-line center. In fact, based on Sportsnet’s March prospect rankings, the next-highest-rated left-handed defenseman available would be Quinn Hughes (No. 6 among North American skaters based on NHL Central Scouting’s final rankings). He’s a 5-foot-7, 170-pound offensive rearguard out of the University of Michigan who projects as more of a top-four defenseman. Meanwhile, American forward Oliver Wahlstrom might be the top center available (No. 7 among North American skaters), but he’s seen as more of a right-winger. Following the failed Alex Galchenyuk (and Jonathan Drouin) experiment, Bergevin may understandably shy away from another attempt at fitting a square peg in a round hole. 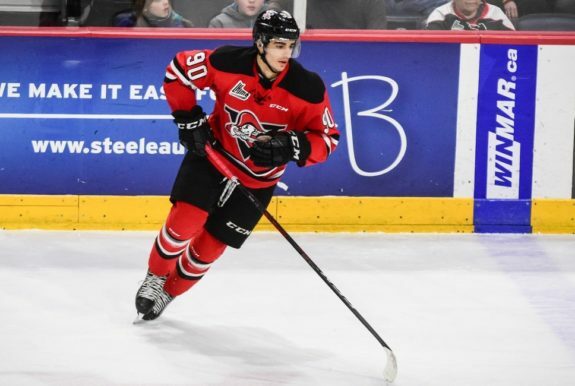 Drummondville Voltigeurs center Joe Veleno may check a lot of boxes as a Kirkland native coached by rumored Laval Rocket coaching candidate Dominique Ducharme. However, he’s projected as a top-six forward instead of a No. 1 pivot and the Habs would likely be seen as going off the board to select him, as he’s ranked as the No. 8 North American skater (Sportsnet had him at No. 14 overall). trading down, which will undeniably open himself up to more criticism. There is no easy, quick fix here and, barring a miracle at the NHL Draft Lottery on Saturday, there is no perfect prospect who will fall into Bergevin’s lap like Mikhail Sergachev did two summers ago. You’ve probably heard how that one turned out. Pretty well actually, just for the Tampa Bay Lightning. It’s a similar situation on the free-agency front. Ignoring John Carlson in principle as a right-handed shot who just doesn’t fit in with both Weber and Jeff Petry under contract, there’s no one on defense to sign. That makes landing Dahlin all the more critical to a successful summer for Bergevin. 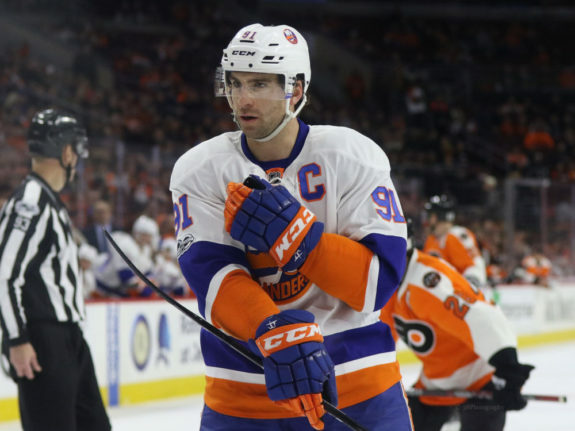 Meanwhile, up front, John Tavares is obviously the best player projected to be available (if he doesn’t re-sign with the New York Islanders first). Without a legitimate No. 1 center since maybe Vincent Damphousse, the Canadiens desperately need one and him in particular. Bergevin’s desperation level is probably even higher, meaning if he can’t land that one big fish, what are the chances he throws all the cap-space money he saved this past season at a Joe Thornton, Paul Stastny or Tyler Bozak instead? Considering his recent history, “successfully” signing Karl Alzner last summer to fill a hole on the left side after painting himself into a corner by letting Andrei Markov walk? It’s a fair bet he’ll do something every Habs fan immediately regrets on his behalf. In no way are Thornton and Stastny No. 1 centers anymore. Bozak may never have been, always under fire as undeserving of a spot beside Phil Kessel when he was still a Toronto Maple Leaf. Still, one of those three being courted, paid an arm and a leg and then marketed as the team’s savior by Bergevin is a very distinct possibility. Don’t believe me? Remember the “we have a better defense than last year” fiasco? That wasn’t a dream. And now Canadiens fans are facing the nightmarish prospect of Bergevin needing to make a blockbuster to try and improve his team for the third straight summer. They say the third time’s a charm, but it’s also three strikes and you’re out. That’s the good news in all of this. For Habs fans, there is a light at the end of the tunnel and it ironically involves Bergevin swinging and missing hard this summer. If he fails to do his job and get the team out of the starting gates next fall like a bat out of hell, it’s easy to believe the slack owner Geoff Molson has afforded him will turn into a noose real quick. Another bad summer would finally mean the end of an era, in the best way possible. Now, no one should ever have to actively cheer against their team. So, look at it this way: Either Bergevin somehow gets both Dahlin and Tavares (because you have to believe Dahlin would be a major selling point for Tavares) and the ship is suddenly righted with the Habs legitimate contenders on paper once more… or he falls flat. There’s really no in between here. So, cheer for the best outcome possible and, if the Habs don’t make out like bandits, take solace in what will be the most likely consolation prize. After an all-too-long 29-40-13 season, Habs fans looking for a changing of the guard just can’t lose.